On top of the traditional aspects of downhill skiing, Summit County offers much more, including hut-to-hut ski tours, cross country trails, backcountry ski touring excursions and, of course, the high-flying terrain parks. What better way to enjoy the mountain than right on it? There are many more options than a simple hotel room in these ski resorts, including ski in/ski out, cabins, condos, resorts and spas. Don't worry if you forgot a hat, jacket or mittens, the shops in and around the resort areas offer a wide selection of outdoor gear to help fill in those gaps. They also rent skis, poles, boots and other gear. This way, there's less hassle with moving around all the heavy equipment from home to the hill. The Colorado Ski Museum and Ski & Snowboad Hall of Fame is an informative and interesting place to visit in Vail, Colorado. The National Ski Council Federation provides an online resource and national club for ski clubs and councils throughout the country. A good source for ideas on activities and development. The US Telemark Ski Association provides education, racing information, and gear reviews for the competative telemark skier. 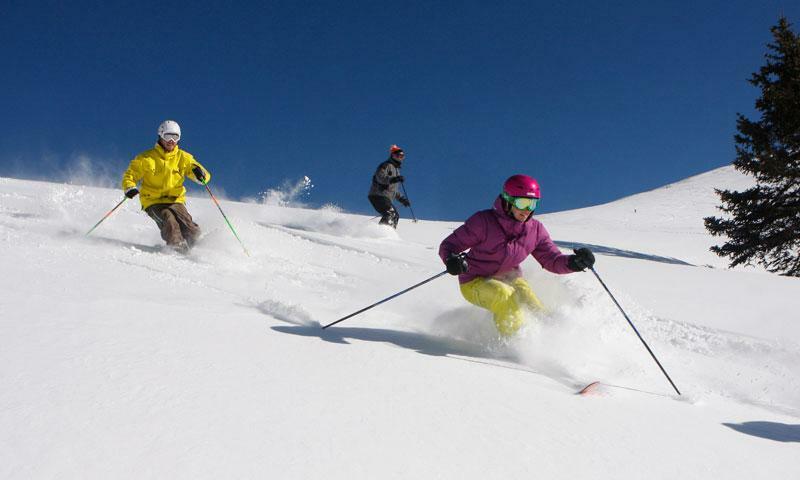 Ski and winter activity info for Snowmass Resort.